This post is sponsored by Genova. 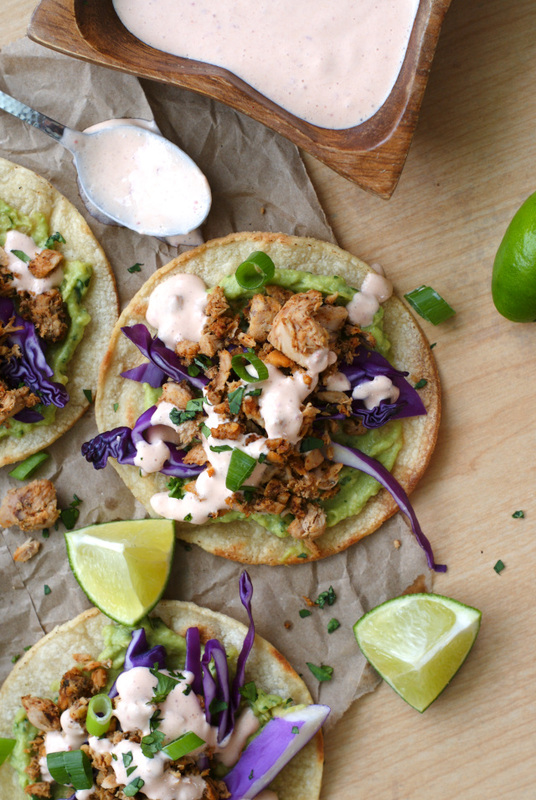 Tuna Tostadas with Chipotle Crema are full of bold flavor, made by topping crisp baked tortillas with seasoned tuna, creamy avocado, fresh red cabbage, and a spicy chipotle crema. If I had to choose once cuisine that I love more than all of the others, there is a clear and definite winner. This momma looooves her Mexican. I could eat tacos, quesadillas, chimichangas, and enchiladas all day long and I'd totally be okay with it. Heck, I could even eat Mexican for breakfast. I. Love. It. I really do love pretty much any kind of Mexican food, but I do have a preferred protein that I like in my Mexican cuisine. I adore seafood; particularly fish. Fish and Mexican food are a match made in heaven in my book! That's why, when the folks at Genova asked me if I'd like to try their wild-caught Yellowfin tuna, I knew right away what I'd be making with it. There would be no boring tuna sandwiches coming out of my kitchen. Oh, no. I took that delish canned tuna and made the most gorgeous, bright, fresh, flavorful tuna tostadas I have ever tasted. You guys, these were like a Mexican fiesta in my mouth. 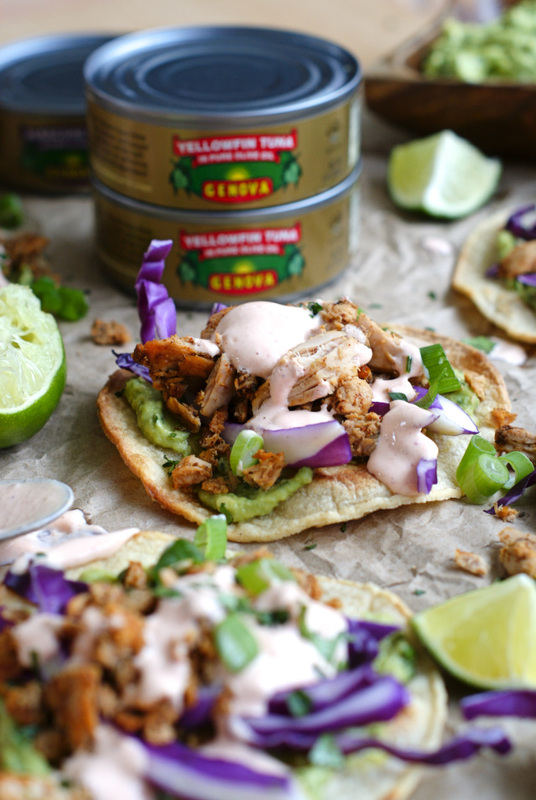 Tuna + tostadas = total deliciousness! 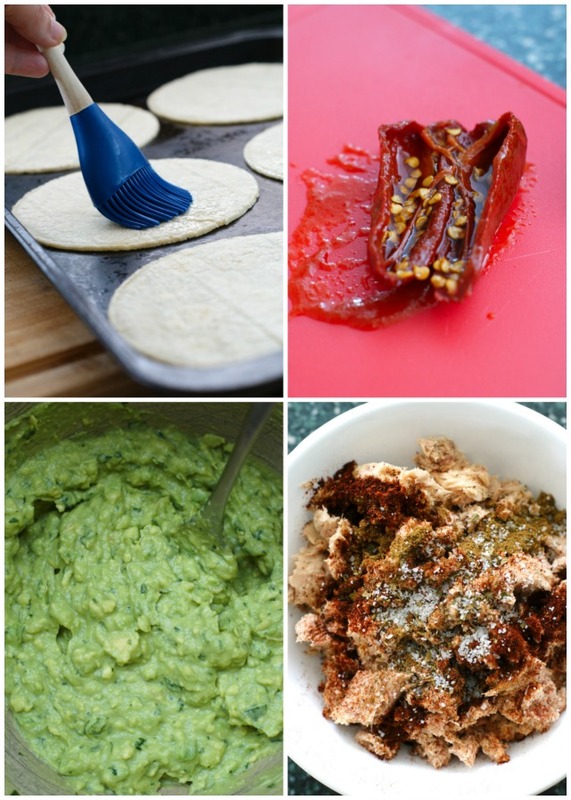 Those crisp tortillas, that creamy guac, that perfectly seasoned tuna...what's not to love? And let's not forget about that spicy, smoky drizzle. It's like the icing on the tostada cake. 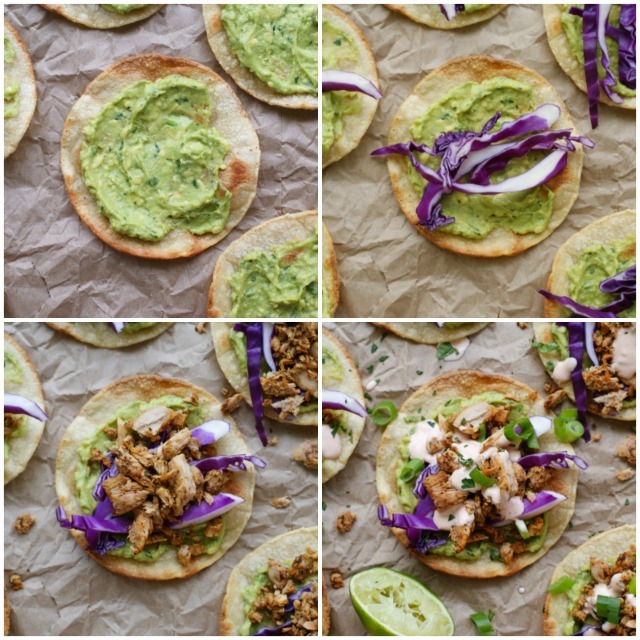 You may be wondering what a tostada is all about, so let me give you low down on how I make them. They are fairly easy to pull together and make a great healthy meal. 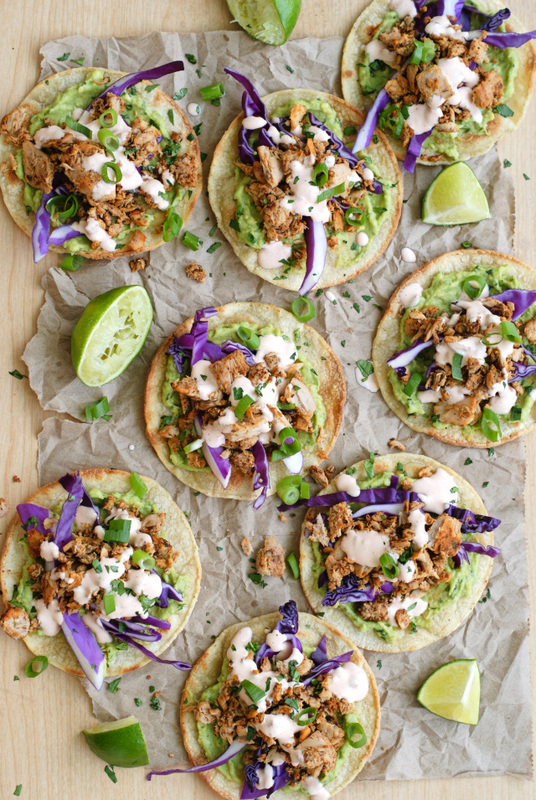 Think of a tostada as a crispy open-faced taco. They're meant to be eaten as a finger food and can easily be served as a main dish or a hearty appetizer. My tostadas start with the tuna! In true Mediterranean tradition, Genova's tuna is packed in pure olive oil with no additives or preservatives. As a side note, if you are used to eating tuna in water, you are truly missing out. The olive oil only enhances the flavor of the tuna and using tuna packed in oil is a must for this recipe. Go on, try it. I promise it's fab. You'll see! 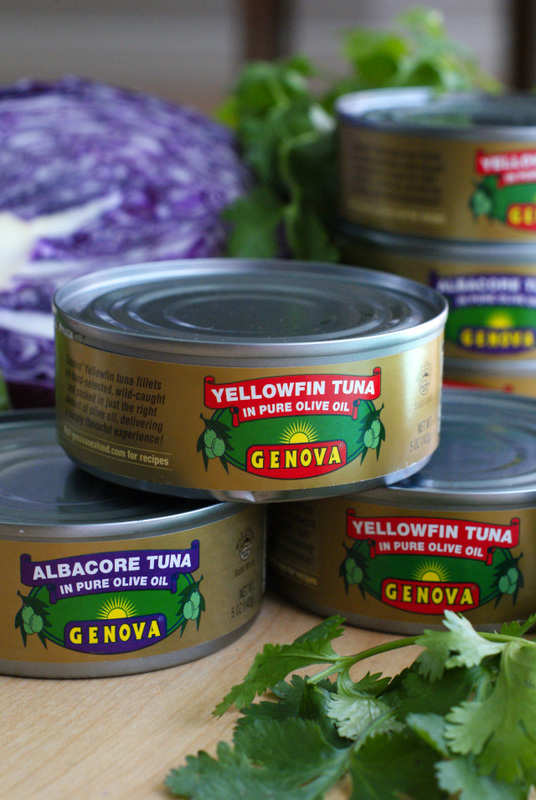 Genova offers hand-selected Yellowfin and Albacore tuna in olive oil in single cans or 4-packs that you can purchase at your local Walmart. I just so happen to have a coupon if you'd like to try it out! Woot! Love saving that money, honey. I used the Genova Yellowfin Tuna and seasoned it up a bit. Then I gave it a quick flash in a hot pan to crisp it up around the edges. I just love those crispy bits! I piled the tuna high on tortillas that are baked instead of fried. I figured that since I was going with the lean protein, I might as well go the better-for-you route on the tortillas, too. They are just as good baked and come out super crisp, just how I like them. Traditional tostadas have a schmear of beans, but I decided to use a creamy homemade guacamole. I can't get enough guacamole these days, so it just seemed like the right thing to do. I added some crunchy red cabbage as the bed for the tuna and I finished it all off with a drizzle that delish chipotle crema right over the top of everything. The crema is just a simple blend of plain Greek yogurt and a chipotle chile pepper in adobo sauce. It is simply amazing! They are a little messy to eat, but, but totally worth it. 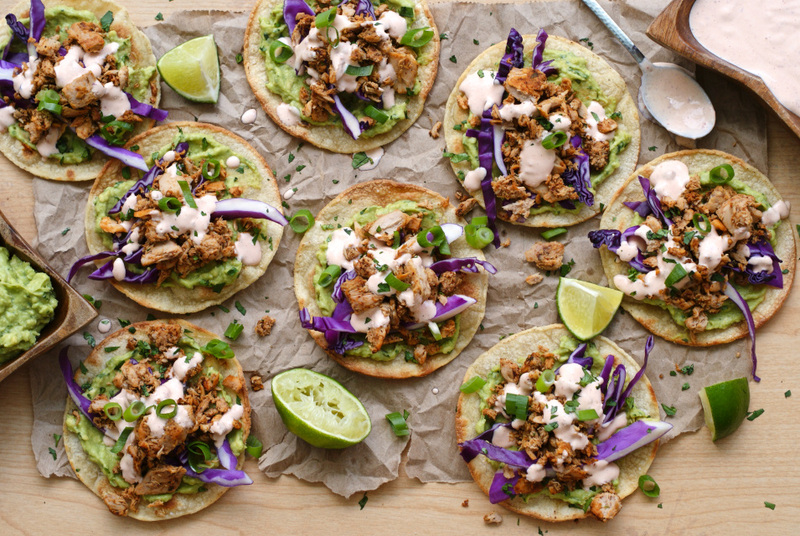 If you ask me, these tostadas yield a perfect bite! If you love Mexican as much as I do, I know you will love this bold, smoky, tuna-inspired twist on the tostada! You've got to try them! Don't forget to print your coupon for the Genova Yellowfin Tuna and Genova Albacore Tuna before you head to the store! Oh, and if you try these fab tostadas, please come back and leave me a comment below to let me know what you think. Enjoy! 10% milkfat yogurt is preferred. If using low-fat yogurt, reduce milk to 1 Tbsp. I received compensation from Genova in exchange for my recipe development. As always, all thoughts and opinions are 100% my own. Wow, how delish and so easy using canned tuna. I have to make these very soon!! I never think of tuna and Mexican flavors together but these have my mouth watering! This tuna is my favorite brand too! It's all I buy since I discovered it!